Mattress Protectors custom made to fit a wide range of bed sizes. UK Manufactured in a Quilted or cotton like TENCEL fabric. If you cant find your size please contact us for a quote. 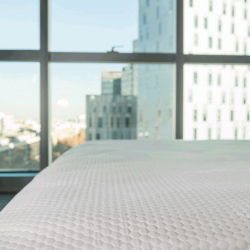 Bespoke Mattress ProtectorQuilted mattress protector for any size of bed.These protectors are a grea..
Waterproof Mattress ProtectorStops moisture but allows air flow for a comfortable nights sleep.Made ..